Veronica showcases the traditions and techniques of Sardinian handicrafts that are now making a comeback in Central Sardinia. Traditional handicrafts are one of the leading sectors of Sardinian economy, but many skills, up until recently, were at risk of being lost. The items traditionally made were most often associated with farming, but thanks to modern innovations, such objects were no longer needed and the skills to make them were disappearing. In a time of economic difficulties, when young people were moving away from villages where such crafts were traditionally practiced, some Sardinian craftspeople have managed to stand out for their originality, using the very skills that had seemed destined to extinction. 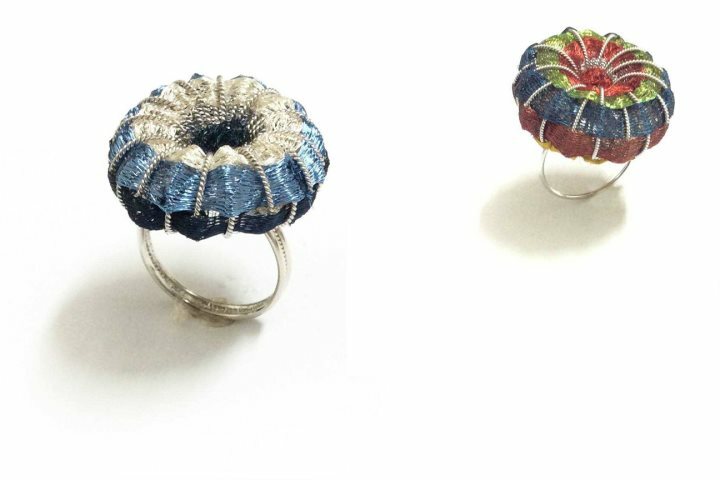 These enterprising young artists from goldsmiths to weavers are making a name for themselves in many different crafts. The Sardinian textile tradition has perhaps most strongly retained its role over time, entering firmly in the modern economic environment. 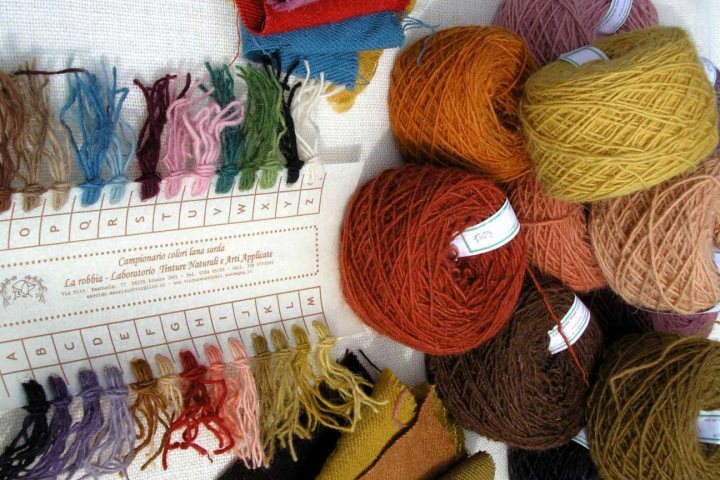 The main raw material used in weaving is sheep's wool, although plant fibres from flax, hemp and cotton are also used. Until the early twentieth century yarns were dyed using local plants. 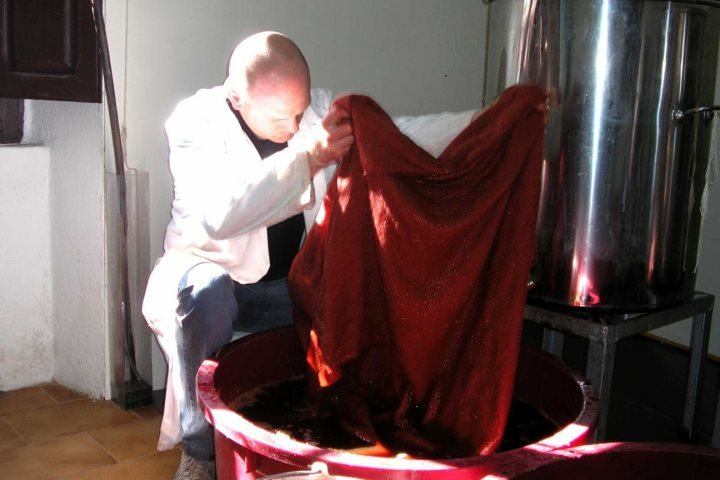 A young and forward thinking businessman, Maurizio Savoldo, decided to return to the old tradition of dyeing with natural colours, starting a business in his hometown, Atzara (Nuoro). While many were moving away from Atzara, he selected it as his base. Firstly, because the raw materials he needed were readily available locally, and secondly, he hoped to revive the local economy and encourage tourism to this authentic Central Sardinia village. 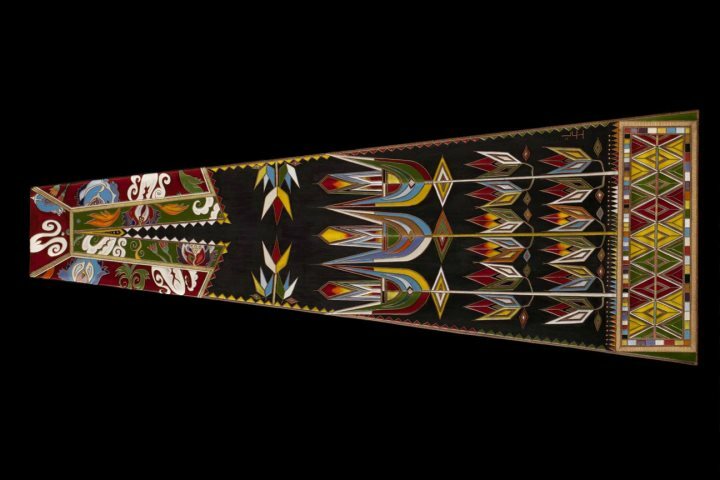 Using a wide variety of colours (extracted by complex procedures) he makes stunning scarves, caps and home furnishings, decorated with indigenous traditional embroidery, patterns and symbols. Although deeply rooted in the Sardinian handicraft sector, Modolo Couture still challenges the subtle borderline between tradition and innovation. This tailor’s shop, founded by a miner with a passion for sewing, has succeeded in resisting globalisation, developing at the same time the ability to promote itself beyond its own borders. The piece de resistance of the Modolo collection is the velvet suit, inspired by the traditional male costume and appreciated all over the world for the impeccable tailoring. Coarse wool or orbace, a fabric made with the traditional method of spinning the Sardinian sheep's wool to achieve durability and impermeability, is the second main character of Modolo’s work. This durable fabric was traditionally used to manufacture coats, blankets and saddlebags used by shepherds during their seasonal movement of livestock. Sartoria Modolo – Accessories made of orbace and velvet. The traditional production of wicker plant baskets is linked to the need of preserving and storing goods, and the knowledge of weaving art has been handed down within families for generations. Such woven plant baskets are both precious containers and everyday objects. 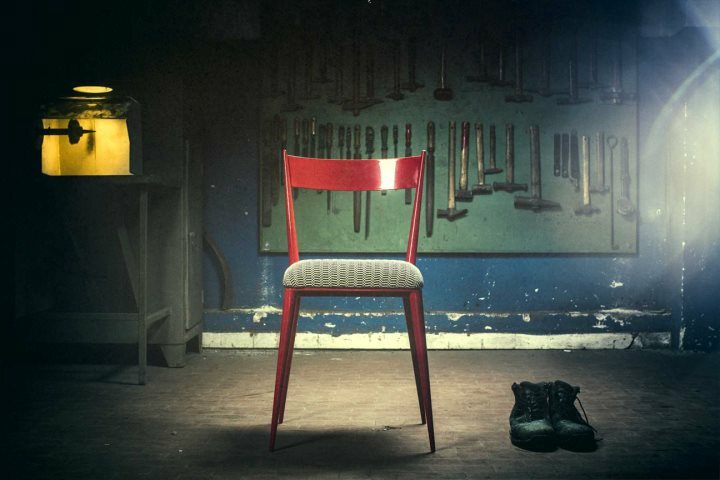 The tradition distinguishes two types of manufacture: the first is masculine, solid and connected to rural life, whereas the second one is feminine, more refined and garnished, destined for the house. Local vegetation, characterised by the Mediterranean macchia, offers excellent raw materials. The shapes vary, depending on their function such as canistreddos, corbulas, corbulettas, canistreddas and parenittas. The corbulas, for example, are deep wicker baskets used to store goods, especially bread, and were designed to allow women to carry them on their heads. The traditional shapes and decorations of these woven plant baskets are still made today, but sometimes these everyday objects become real pieces of art, thanks to the work of those who reproduce them in the traditional way, especially when mixed with a hint of modernity. 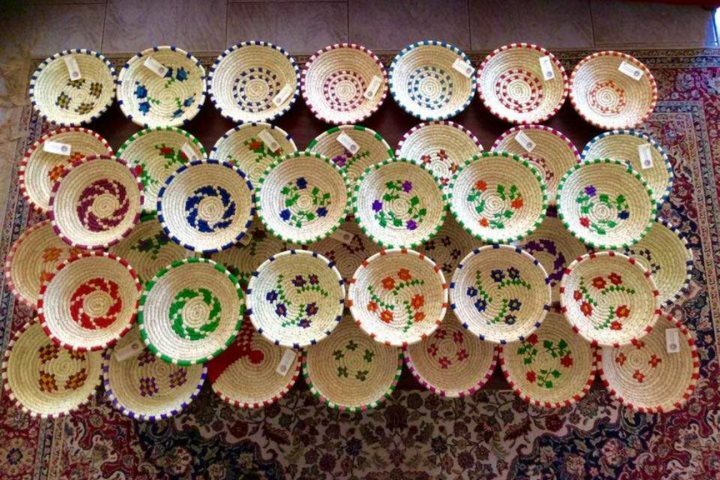 One such artist is Salvatore Sechi, who weaves baskets. He named his business Sa Parenitta, after a type of deep basket used for daily storage. In his opinion, this is the most functional shape and size that would be useful nowadays. Literally, parenitta means bread box, but it was also used for cakes. His parenittas are all made from plants, in particular a type of palm which Salvatore grows in his garden, as the wild palms are protected. 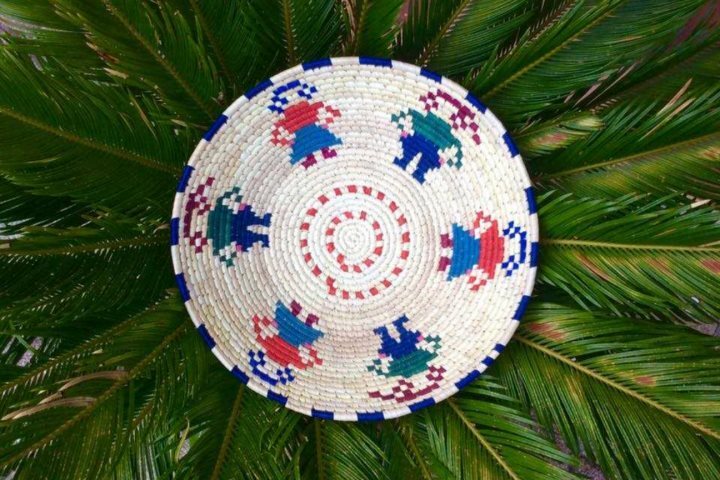 The raffia he uses to decorate his baskets is also from a plant. What is new in his work are the designs that sometimes differ from the traditional ones, leaning towards more modern tastes. Metal work is now a much sought-after craft combining artistry with new functional and aesthetic design, and technological innovations using new tools and materials. Sardinia’s long tradition in the field has been carried forward by multi-generational businesses that managed to enhance the teachings of ancient masters by catapulting this art to the present age. In the past, the tradition focused on wrought iron and malleable metals, such as copper and tin, to forge functional household tools. 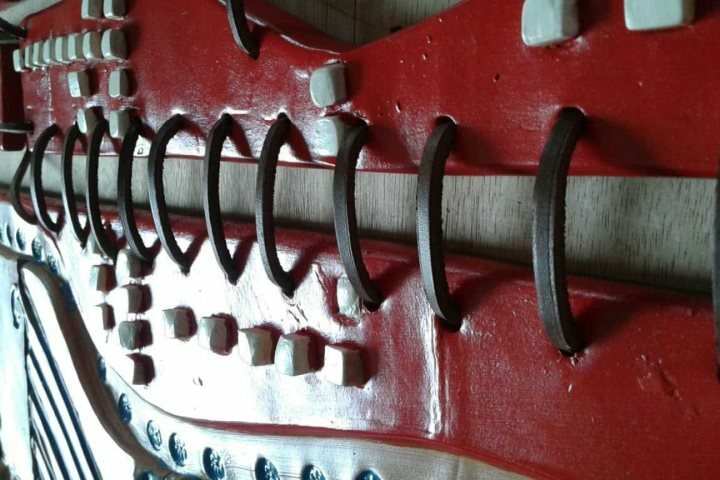 Today, the same techniques are being used to make objects of great beauty including ornaments, sculptures, furniture and even architectural features. Among the craft sectors, metal work appears to be the most innovative and adaptable to a new design concept that values craftsmanship and the quality of the raw materials, while allowing the experimentation of combining different materials, such as iron and cork. Vittorio and Andrea Bruno are the youngest generation in a family of metal craftsmen, BAM (Bottega Artigiana Metalli). The innovation they bring seeks to preserve the craft while respecting tradition. In their philosophy, metal interacts with other materials and captures value through its interaction with each element. 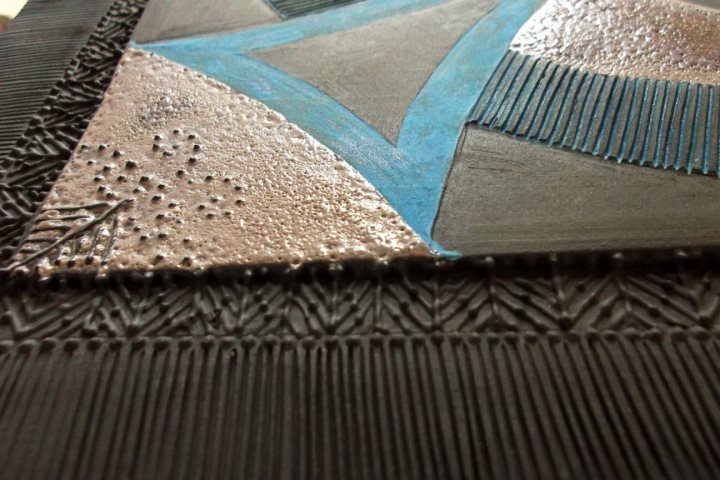 The metal begins to melt with the wood, cork, glass and ceramics, creating objects to look at, touch and feel, stimulating the interaction of the senses through colour differences and irregularities of surfaces. Gold work, and jewellery in general, have always had a special place in the traditions and costumes of the Sardinian people. The art of filigree is a style of metal jewellery, where the artist makes tiny beads and threads of gold and silver, and combines and welds them to a surface, often made of the same material. The skills of the artist is both technical and artistic. 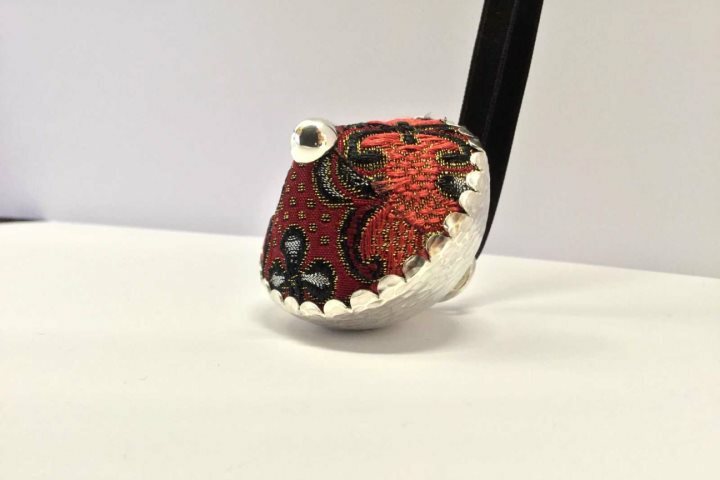 The elements are so tiny that the items can only be handmade using traditional tools and this leads to an authentic production of artisanal pieces of art. Every creation has a clear and definite role in representing a moment in life or a wish of growth. Every bride, for example, used to receive a pair of traditional buttons in the shape of a breast, called Sos buttones, to be pinned to the bride's dress before the wedding as a wish of prosperity. An exchange of gifts sealed the marriage: a wedding ring made of filigree for the bride and a knife with a horn handle for the groom; a symbol of protection and dedication to work. A legend tells that, in old times, little fairies known as the Janas, used to weave thin wires made of gold and silver. Their enchanted houses, the Domus of the Janas, was where the ancient art of Filigrana sarda was born. This fine art has been handed down to Antonello Delogu, who founded Creazioni Antonello in 1980. He studied the art of filigree and decided to combine it with modern ideas. 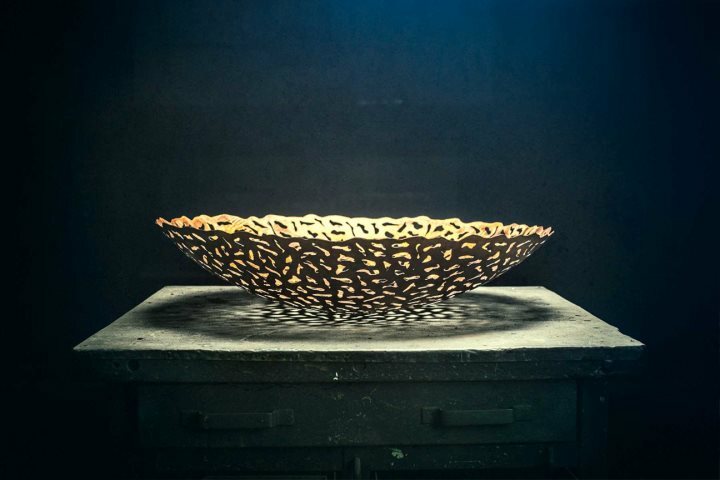 The first such artwork was the Corbula collection, where his gold jewellery reflected the shape of traditional baskets to create an entirely new design. His Titile collection is inspired by the rolled-up handkerchief placed by Sardinian women over their head to support and carry weights such as corbulas full of almonds or other gifts, or jugs filled with water. Another workshop in Nuoro is Laboratorio Etoile, by Alessandra Mascia and Maurizio Secchi. Their main techniques are filigree, repoussé, fretwork and etching, among others. 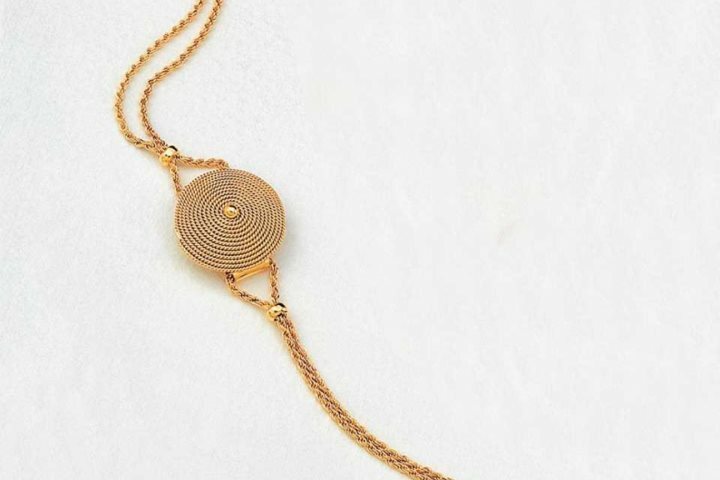 These adapt well to the imagination of the artisans who create their jewels thinking of a possible connection between modernity and Sardinian culture. 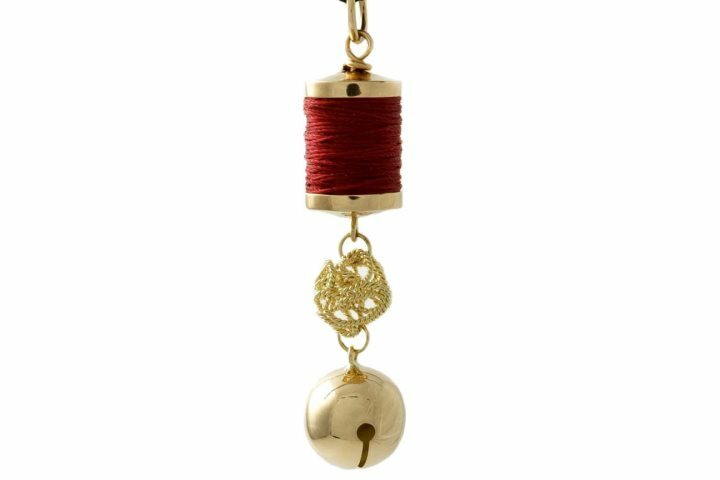 Important projects of the Etoile are the Modus Auri collection, where they give great importance to the golden thread, and the IS project, in collaboration with Sardinian embroiderers and weavers, with which the Etoile celebrate the art of weaving, creating pendants in the shape of spools, looms and embroidery frames. The desire to experiment led them to use the textiles of traditional costumes to reinterpret the filigree buttone maintaining its traditional shape but making it from an entirely different material thus making it modern and fashionable. The history of ceramics in Sardinia has its roots in the remotest antiquity. Museums and Sardinian archaeological sites preserved within them the memory of this tradition thanks to the many artifacts that date back to prehistory. Ceramic production of everyday utensils dates back with the first settlements in Sardinia with designs evolving over time, from Nuragic Age to Middle Ages. In the last century, thanks to prominent figures such as Ciusa, Fancello and Biasi, the production of ceramics developed into an art form. The mixing of different arts is evident in the work of Sinzos, by Laura Puggioni. Sa Franda is a line of decorative panels and small pendants inspired by the apron worn in the traditional Sardinian ladies' costume. Shapes and designs incorporate skillfully embroidered motifs on the traditional costumes of communes such as Samugheo and Orgosolo. The de-contextualisation of an object that from textiles becomes jewellery, a decorative panel, or headboard, is the main idea of this artist’s work. Giovannina Coinu’s work is inspired by local history, culture and tradition. 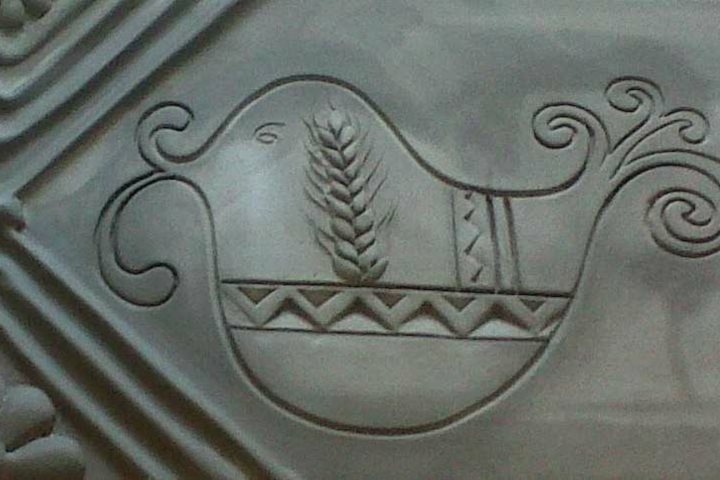 Ceramics, under the name of Artes, evoke the ancient, magical atmosphere of Sardinian archeology. Her crafts depict the symbols of the island's economy and society, such as the famous lapwing and the geometric designs found on the traditional costumes. Sardinian craftspeople's work ranges over countless art fields and techniques. The growth of this economic sector over the last years is encouraging. 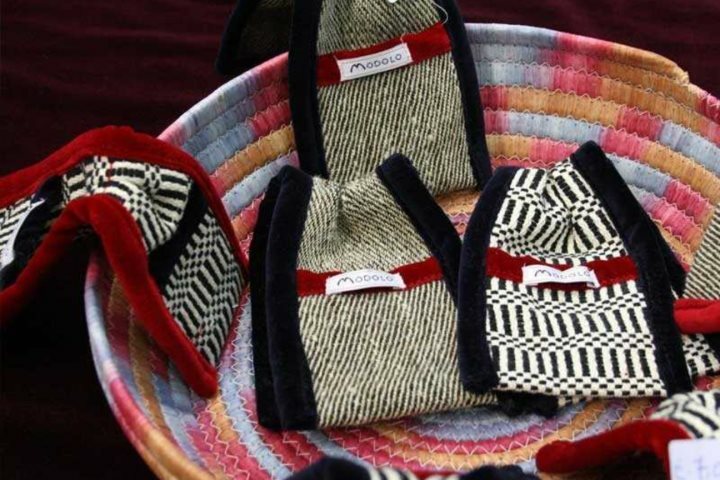 These handicrafts are preserving Sardinian traditions and culture by supporting its inhabitants and enhancing tourism.